Let’s face it girls, BOTOX® is amazing, and some people just don’t understand how awesome it can make you look and feel. If one of those people is your man, here are some ways you can convince him it will be one of the best gifts he could possibly give you. 1. It will make you feel beautiful. If you’re feeling beautiful and smiling, then all is right in his world. Assure him that getting you something like this that will make you feel good about yourself will end up benefiting him too. 2. It puts you in the mood more. When you’re feeling good about yourself, you’re more likely to want to be close. This is a win-win situation both of you. 3. It lasts longer than most other gifts. It’s not like flowers or candy that will last for a week. This injectable wrinkle-buster lasts for 3-4 months months. 4. It won’t stress you out because it takes about 15 minutes. If you have a busy schedule filling multiple roles in your life (and what woman, doesn’t, right? )…then this 15 minute procedure is a great option for your already-hectic schedule. 5. You’ll spend less time in front of the mirror. Do you have to look in the mirror 10 times before leaving the house? You won’t have to do that as much when you already know you look great. This means you and your honey can get out of the door for date night a lot faster. 6. He will like spending extra time with you. Your man loves the way you look now, but with BOTOX you might feel like “going all out” a bit more often. This could lead to taking more chances and going on a lot more adventures together. 7. It doesn’t cost an arm and a leg. BOTOX is very affordable at just a few hundred dollars. If you drop some hints at what you want and he sees the affordable price (about $9-$10 per unit at James Christian Cosmetics), he won’t be able to say “no”. 8. Tell him that you can both get it. Include him in the joy of a younger-looking appearance by mentioning that you both should go in for an appointment. Men who get BOTOX (a.k.a. “Pro-tox”) find that it helps their overall professional life because they appear calmer in the most stressful of situations. 9. Drop hints about specials. We have specials every month. Share the current specials with your man by visiting us on Instagram at @JamesChristianCosmetics or on Twitter at @_JamesChristian and tagging your honey in the comments of any of our December monthly specials posts. 10. Tell him how happy it will make you. Sometimes, you just have to assure him that it’s really the only thing you want for Christmas and it would mean the world to you if he would help you finance the treatment. Tell your significant other to call James Christian Cosmetics at 1-844-iBOTOX-Now during normal business hours (Monday-Friday 9 AM to 5 PM). After hours, he can call or text our Cosmetic Concierge line 24/7 at 917-860-3113. Click here to send a message. We can help him get the gift card he needs to “surprise” you. If you’d like to give yourself the gift of BOTOX this year, we’re ready to schedule your appointment with James Christian Sardelli, RPA-C.
James has over 10 years of experience perfecting his technique, so you can rest assured that your results will be exceptional. James Christian Cosmetics serves Nassau and Suffolk County. 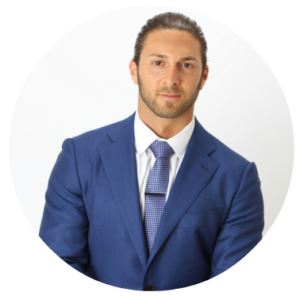 He has offices located in Manhattan and throughout Long Island in Commack, Islip, West Sayville, Westhampton Beach, Rockville Centre, Farmingdale, and Babylon Village, NY.